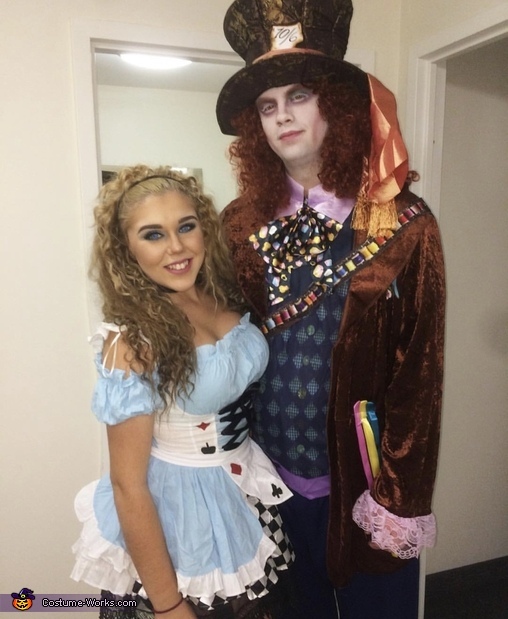 My boyfriend and I did this costume as Alice in Wonderlans happens to be both of our favourite movies growing up. I even dyed my hair blonde to pull off the costume! Curling my hair took over 3 hours, and “the Mad Hatters” makeup took over 2! Lots of time but it definitely all pulled together in the end!